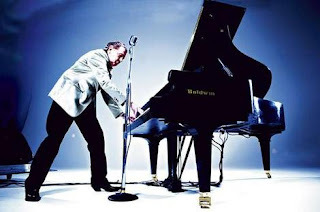 The Midnight Freemasons: Happy 75th Jerry Lee Lewis: The Killer Is Still "Rockin' His Life Away"
Happy 75th Jerry Lee Lewis: The Killer Is Still "Rockin' His Life Away"
I've always been a Jerry Lee Lewis fan, and he's the reason I decided from an early age I was going to be a piano player. I can still rip a pretty good Jerry Lee Lewis tune. And I celebrate his birthday, September 29th, every year (I call it St. Lewis Day.) This birthday was especially fun, because I got Jerry's new CD "Mean Old Man" delivered on his birthday Wednesday. The album was named for the first cut on the album, written by Kris Kristofferson. It's his first album since "Last Man Standing" in 2006. Much like the 2006 CD, it's a collection of duets. It's pretty obvious he's getting older, his voice has got a little more gravel in it, and he seems to prefer slower country songs and gospel pieces to the thumping bar rockers that made him famous. But there is no question from the first note who is playing that piano--nobody has ever played like that before, nor is anyone ever likely to again. But Jerry pulled a couple rockers out for this release. He thumped through a nice remake of an earlier hit "Rockin' My Life Away" with Kid Rock, and rocked through a version of "Roll Over Beethoven" with Ringo Star, John Mayer and John Brion. 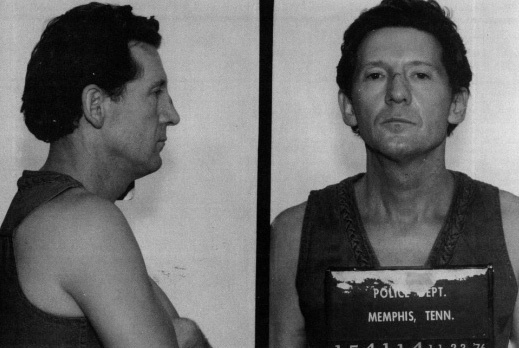 Seems like everyone wants to record a song with Jerry Lee these days--on this one you'll find Mick Jagger, John Fogerty, Willie Nelson, Tim McGraw, Eric Clapton, Sheryl Crow, Merle Haggard, Keith Richards, and more. 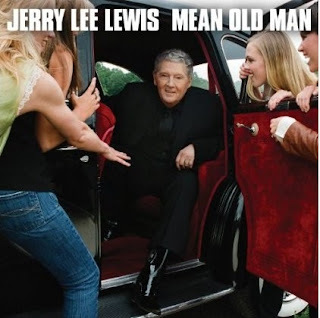 ﻿﻿﻿﻿﻿﻿﻿﻿Of course, it's well known that Jerry Lee Lewis is no Saint, and never has been. He's been in a trouble a few times. Might have even been arrested for waving a gun outside the gates of Graceland while shouting threats at Elvis (now that was a friendship that endured). Married six times, the third time to his thirteen year old cousin. Two of those wives are dead, fueling speculation about whether "The Killer" was aptly nicknamed. Jerry is as infamous and he is famous. When he recorded "I'm a Wild One," he wasn't kidding. But he's kept playing, and recording all these years. 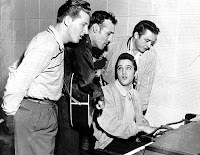 He's outlasted all his contemporaries, including the original "million dollar quartet" that started together at Sun Studios back in the 1950s. Elvis is gone now. So is Carl Perkins. Johnny Cash was the most recent member of the exclusive club to pass on. Only Jerry Lee is left now--as his 2006 album suggested, he's the "Last Man Standing" from Sam Philips' remarkable stable of talent at Sun Studios. 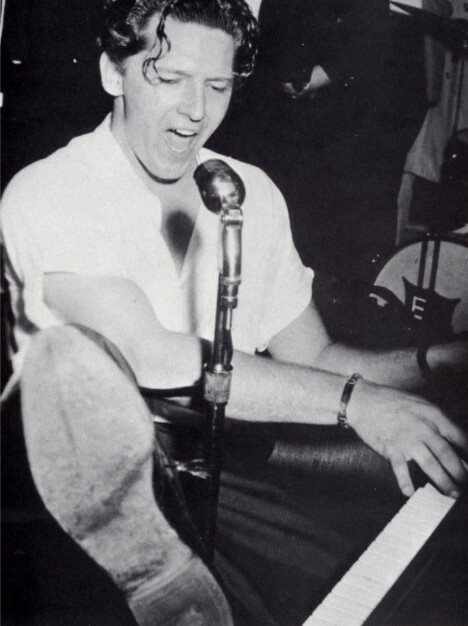 Love him or hate him, Jerry Lee Lewis is one of the greatest musicians in rock's history, and without his influence, music would be very different than it is today. That's why so many artists today pay homage to Jerry Lee as an important influence, and why so many line up for the chance to record with him. It's because he's a legend. One of our last remaining links to that period when rock and roll was in its infancy, and a few guys in Memphis took a little country, a little blues, a little gospel, and a little boogie woogie, put it all together, and rocked the world. I shudder to think what music might be like if it weren't for Jerry Lee Lewis and Elvis Presley (would be still be do-wopping?). There's rumor that there's a new Hollywood bio-pic "The Killer" in the works, starring Brad Pitt as Jerry Lee and Natalie Portman as Myra. There's already been one movie "Great Balls of Fire" back in the 80s starring Dennis Quaid and Winona Ryder. I hope this one is a little less campy than the first. It's recently been reported that Jerry has been in poor health. He had to cancel a tour due to a staph infection and phnemonia. Let's hope he gets better soon.